The beginning of the 19th century saw Europe in turmoil. The Industrial Revolution was in full swing. England, at the forefront of technology, was trying to maintain a monopoly on the new machines and processes that gave it great economic advantage. Industrial spies from other countries exploited inventors and workers in order to duplicate these techniques and machines. A second revolution, induced by the new economic forces, encouraged political change. All over Europe were revolution and war. People began to believe that political systems everywhere needed to be recast. As the fledgling United States settled down to the business of creating its own political reality, the European maelstrom tossed many skilled artisans onto American shores. One of these immigrants was John Reich, a German engraver caught up in the Napoleonic Wars who paid for his passage through indentured service. After arriving in the United States, his talents came to the attention of Thomas Jefferson, who as early as 1801 recommended his appointment as assistant to Mint Engraver Robert Scot. The latter would have none of this, looking upon an assistant as more of a competitor than a helper. Nevertheless, Chief Coiner Henry Voigt redeemed Reich’s servitude and gave him various jobs at the Mint, although he wasn’t allowed to design coins. Finally in 1807, with the support of the new Director Robert Patterson and with Jefferson’s approval, Reich was given the job of Assistant Engraver. He was promptly assigned the task of redesigning all the coinage, working first on the half dollar and half eagle, next on the cent and quarter eagle and finally in 1809, on the half cent and dime. The previous Draped Bust half cent design, engraved by Scot from a drawing by Gilbert Stuart, featured a Revolutionary War era portrait of Liberty. Reich’s new design depicted a less buxom Liberty facing left, her curled hair tied with a band inscribed LIBERTY and cascading over her ear to the base of her bust. 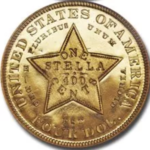 Seven stars are to the left of the bust and six to the right, with the date below. The reverse shows a wreath encircling the denomination HALF CENT, with the inscription UNITED STATES OF AMERICA surrounding the wreath at the rim. The term “Classic Head” for this design was first used in Mason’s Coin and Stamp Collector’s Magazine in 1868, succeeding the misnomer “Turban Head” assigned earlier by coin dealer Édouard Frossard. 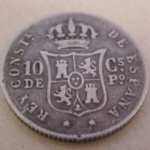 In its day, Reich’s Liberty was cruelly characterized as the “artist’s fat mistress.” The unmistakable European influence may have seemed a bit foreign to Americans, but it was practical coinage, and this Liberty was used with modifications long after Reich’s departure from the Mint. Reich never became Chief Engraver due to Scot’s tenure, longevity and professional paranoia. In 1817, after exactly a decade as Scot’s assistant, he resigned, frustrated at never receiving a raise or any respect from the Chief Engraver. Scot remained at his post until he died at the age of 79 in November of 1823. 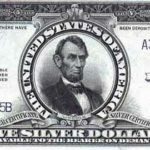 In 1809, the half cent denomination was already losing its value as a medium of exchange under even the mild inflation of early 19th century America. Furthermore, manufacturing copper flans had always been a problem, and nearly all the planchets used for copper coinage came from the Boulton factory in England. By the fall of 1811, the Mint had run out of planchets, and the embargo during the War of 1812 effectively stopped all shipments of the needed copper from England, halting production of the half cent for years. In 1825, probably due to the growing shortage of small change, half cents were ordered by Jonathan Elliott & Co. of Baltimore. Reich’s Classic Head design was modified by the new Chief Engraver, William Kneass, for what was predicted to be heavy demand for this denomination. Unfortunately, demand never met expectations, and by 1829 hundreds of thousands of half cents again sat in the Mint’s vaults. Coinage ceased until 1831, when just 2,200 pieces were coined. Kneass again used Reich’s design but made new device punches and further revisions, including modifying the date and lettering and adding a raised rim on each side. Years later, during coin collecting’s heyday in the 1850s, Mint personnel with access to old dies made surreptitious restrikes of the 1831 and 1836 issues. These activities were mostly directed by Theodore Eckfeldt, the Mint’s night watchman, who sold them through a coin dealer on Buttonwood Street in Philadelphia and later through dealer William Idler. Apparently, the extremely rare 1811 restrike was made with dies obtained from the Mint as scrap metal by famed 19th century collector Joseph J. Mickley. 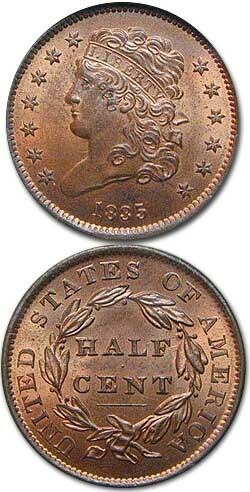 A total of 3,637,912 Classic Head half cents were made between 1809 and 1836, with mintage occurring from 1809 through 1811, again in 1825 and `26, resuming in 1828 and `29 and from 1831 through 1836. Altogether, between 100 and 200 proofs were made, most of which are restrikes. 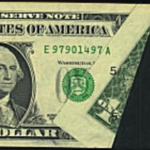 Collectors popularly collect this design as a type example or as part of a half cent collection. It is possible to assemble a date set of the regular issues in almost any grade. Only the 1831 issue, and to a lesser extent the 1811, present a challenge (the other rare date, 1836, is a proof-only issue). The most common dates seen in uncirculated condition are 1828, 1833 and 1835. These three dates were found in separate hoards over the years: The Collins hoard of 1,000 1828s, discovered in 1894, and the Depression era finds of several thousand 1833s by Guttag Bros., and almost the same number of 1835s uncovered by Elmer Sears. These dates often come with mint-red color and are in strong demand by type collectors. 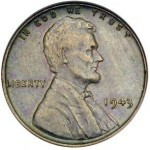 Generally, Classic Head half cents are seen in colors ranging from light to medium brown. Many hoard dates retaining original mint red suffer from the typical black spots that frequently appear on copper when stored in a damp environment. When grading this design, obverse wear will first appear on Liberty’s hair above the “R” and “T” and below the “I” and “B” of LIBERTY. On the reverse, look for wear on the ribbon and bow of the wreath. By 1835, there were again ample supplies of half cents on hand, and full production stopped; only proofs were struck in 1836. Half cents weren’t produced again until 1840, when Mint Director Robert Maskell Patterson needed this denomination for the ceremonial proof sets given to dignitaries. Reich’s Classic Head was finally retired, replaced by the Coronet Head design of Christian Gobrecht. Error coins in a Mint set?